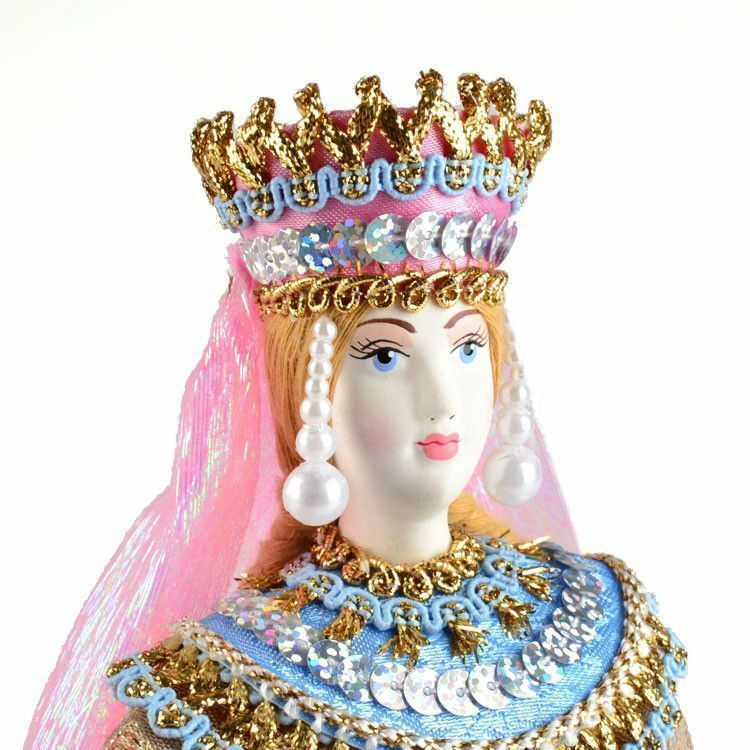 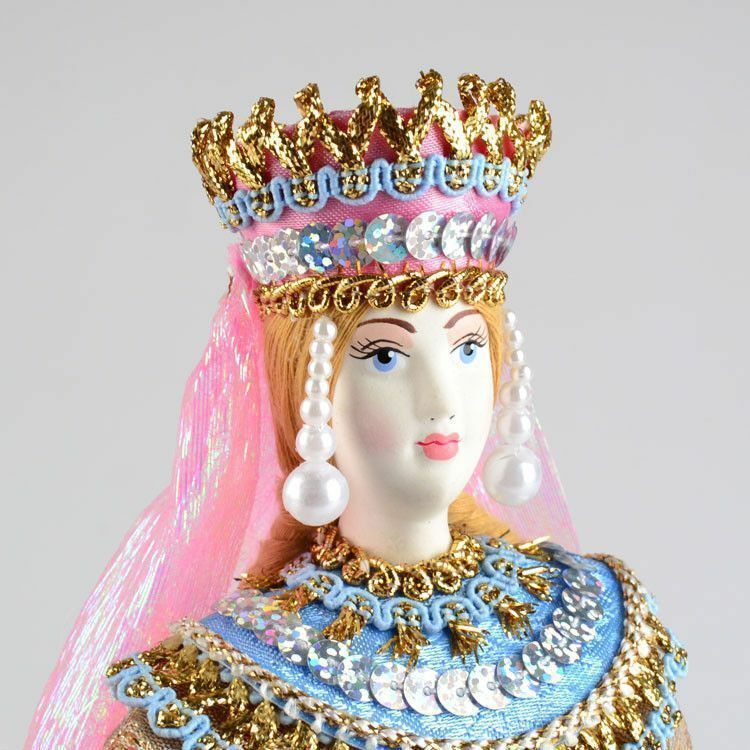 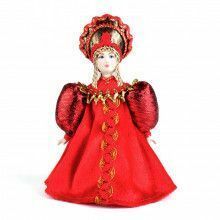 This porcelain doll features a golden handmade dress and a kokoshnik head piece modeled after real Russian costumes. 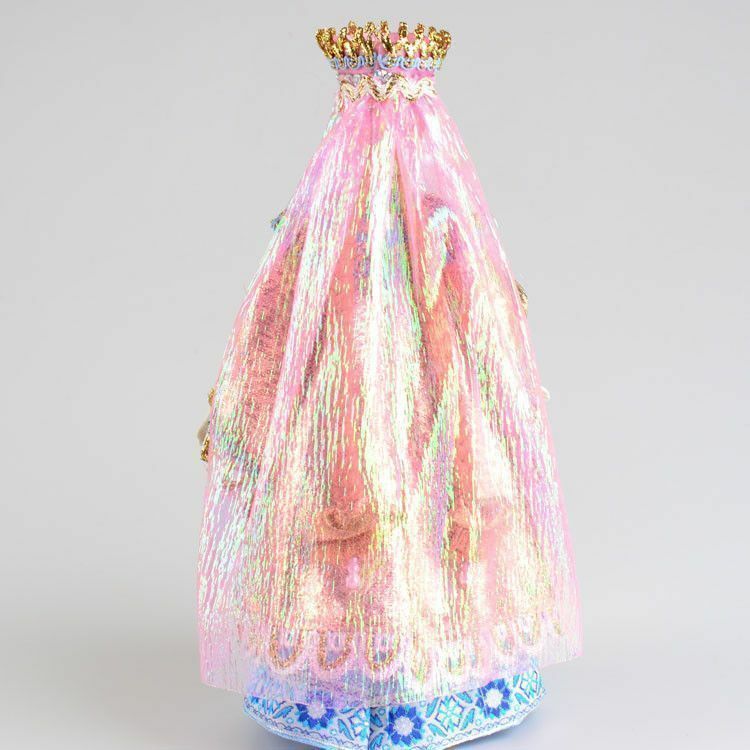 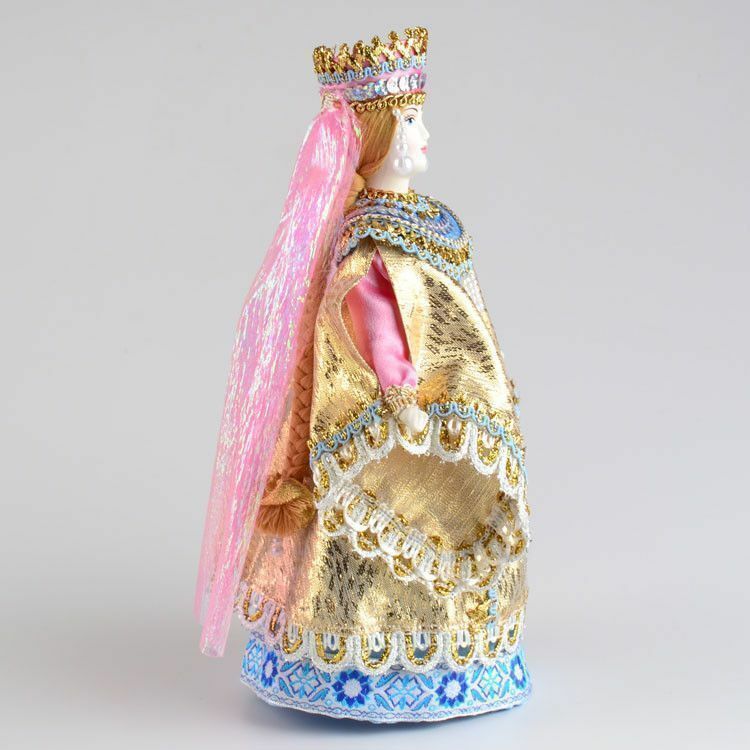 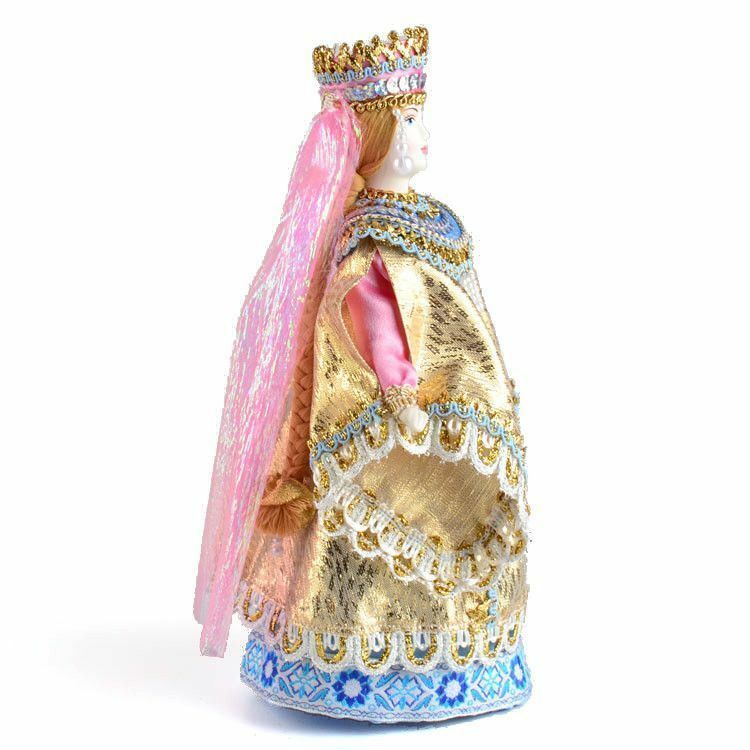 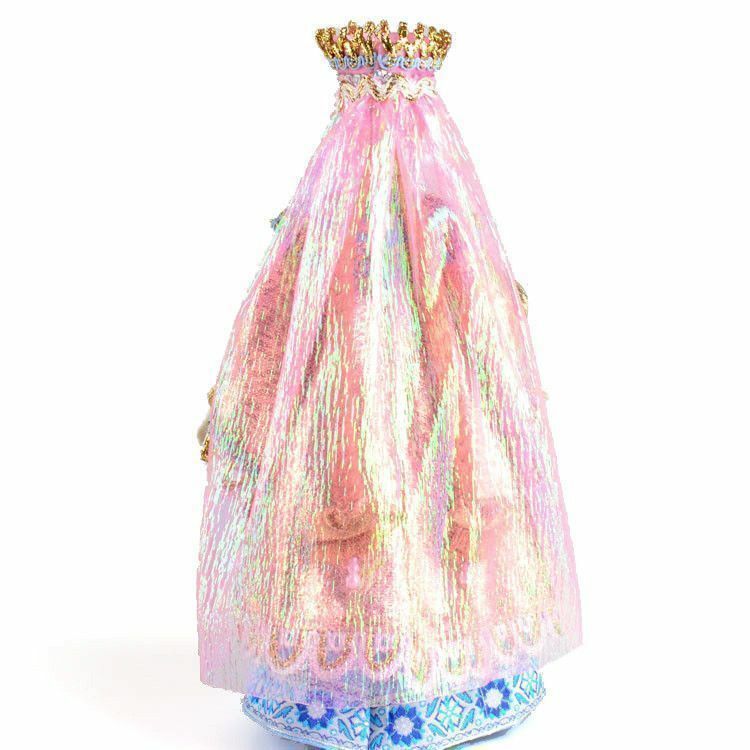 The Russian artist embellished the doll with shiny gold trim, sparkling sequins, and pearly beads. 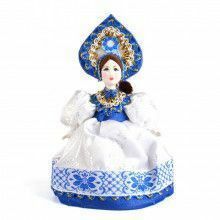 The head of the doll is made of porcelain and is beautifully hand painted. 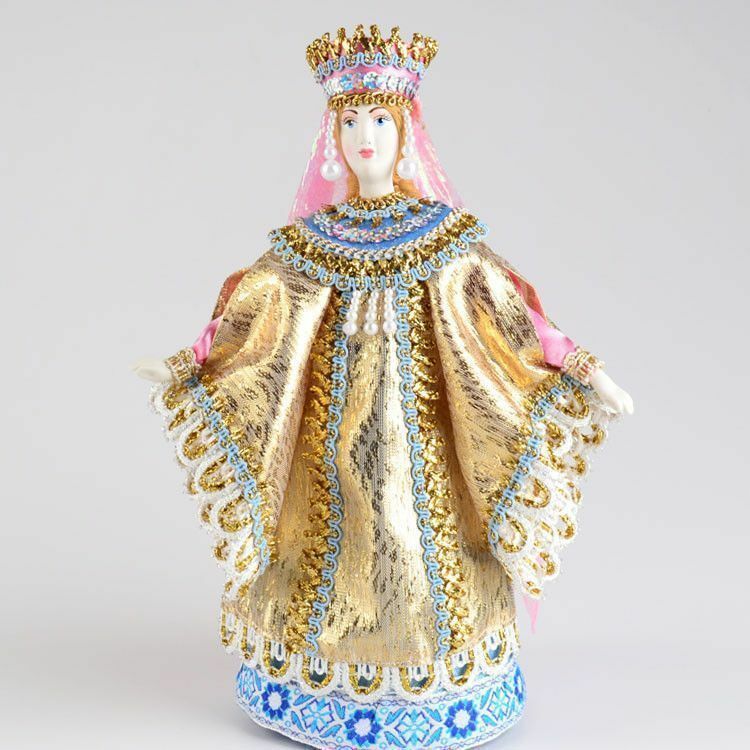 Her hands and the base that she stands on is also made of porcelain. 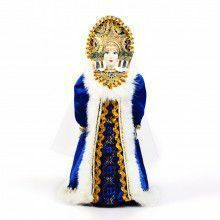 Looks amazing in any doll collection! 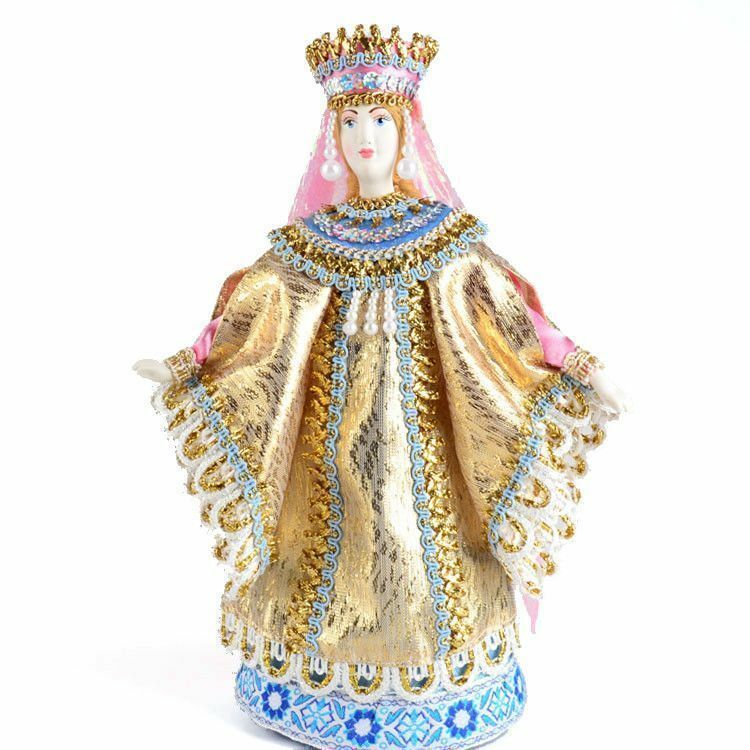 About 10" x 3" in size. 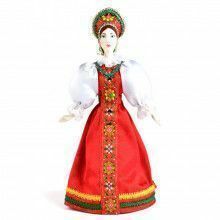 Imported from Russia.